Since the formation of the TRWMA in 2012, the priorities of the Board were to reduce flooding and improve water quality in the TRW. Various partners worked since that time to develop comprehensive plans for flood reduction and water quality improvement. 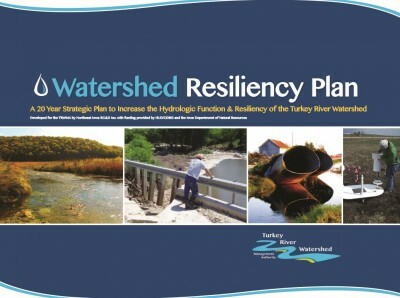 The resulting plan is called the Watershed Resiliency Plan. The Vision of the TRWMA is that the TRW will be a high functioning hydrologic system that has increased resiliency in the face of changing precipitation patterns. Increased landscape resiliency will be achieved through the efforts of many partners working independently and collectively to increase the capacity of the watershed to slow and hold water for longer periods of time during heavy precipitation events, and consistently increase groundwater infiltration throughout the watershed to reduce drought during extended periods of decreased rainfall. Benchmarks can and will be quantitatively measured through analysis of data from gauging stations throughout the TRW and other research and monitoring detailed in this plan.